Even if you understand story stakes in theory, building them into your screenplay can be challenging. Often the first step in putting something into practice is being able to identify it in other works. So let’s do a case study. 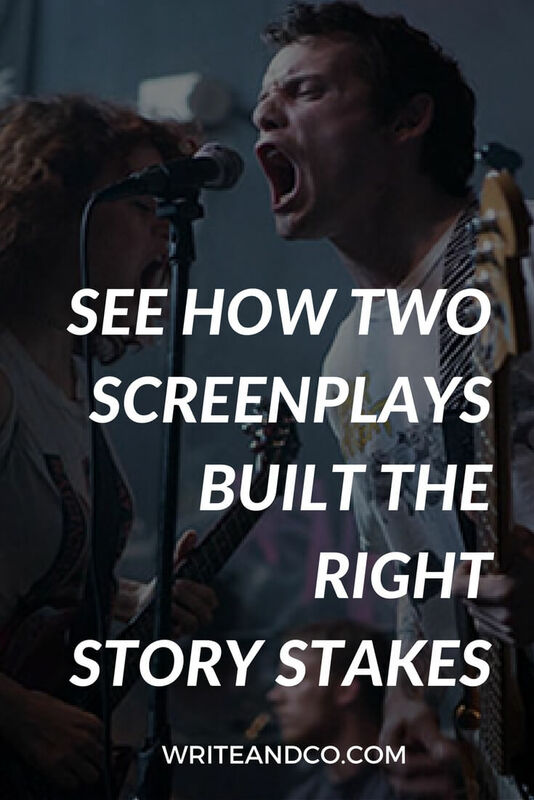 Today we’ll look at examples of story stakes in two movies, to see how those stakes are established and conveyed. Almost Famous and Green Room are two very different movies about rock bands. Let’s see how each one handles the challenge of establishing effective story stakes. What are story stakes, again? Just to clarify, in the movie comparison below I’m focusing on the initial thing that’s “at stake” for the character(s). So, primary story stakes. These are the stakes that are created in the set up of the story (Act 1) that show us why the character(s) must go on this journey or pursue this goal in the first place. It’s hard to keep a reader reading (or an audience watching) if they’re asking “So what?” or “What’s the point?” by the end of Act 1, when the characters are just about to launch into the main thrust of the story. We need to want to go along with them, otherwise we’re closing the screenplay or turning the channel. That’s where stakes come in. The context that shows us the “so what” is created — i.e. the stakes are established — in Act 1. Then, throughout the rest of the movie, stakes are raised or intensified, and new stakes are often brought into play that can help keep us engaged. But right now we’re just talking about Act 1 — and the primary story stakes — so we can look at how these movies get us in the car, willing to go along for this ride. By the end of the first act, we’ve seen WILLIAM, a 15-year-old aspiring rock journalist, get an unexpected career break in the form of a real writing assignment from a legit industry publication. The assignment is handed to him by his rock journalist idol, LESTER BANGS. Covering this story is maybe the best night of William’s life so far. He gets to hang out with Stillwater, the opening band for Black Sabbath. More than that, he actually hits it off with the Stillwater guys. For a kid who’s an utter outcast at school, this is huge. After the show, guitarist RUSSELL invites William to meet up with the band in L.A., where they’ll be staying for a week. Russell also asks William to pass along a message to band groupie PENNY to join them too, “like last summer”. The main characters in this movie are the members of a struggling punk band, led by PAT (“20’s, a doe-eyed vandal”). They’ve just played a show at an isolated venue somewhere in backwoods Oregon, in front of a crowd of neo-Nazi skinheads. Not their first choice, but they needed the money. As the band heads out after their set, Pat stumbles into the immediate aftermath of a murder. A teenage girl has just been killed in the green room. At the hands, it appears, of WERM – a frightening ex-con and member of the headlining band. Pat and his band mates at first try to get away and call 911 for help, but they’re accosted and locked in the green room – at gun point. What’s at stake in Green Room? By the end of Act 1, the guys in Green Room know they’re in a dangerous situation. They’re in a scary, hostile environment. Someone has been killed. Pat and the guys are now unwanted witnesses. They want to get out of the green room. Preferably alive. There’s evidence enough to believe their lives are at stake. Why does the main character care about these stakes? With these kinds of stakes – life and death – there isn’t much more information necessary. As long as the life-or-death conflict is dramatized in a way that feels true (in keeping with the tone and genre), most people are willing to easily accept that the stakes matter, that the characters care enough to embark on the struggle to stay alive. Yes, there are also moments that hint at Pat’s understanding of the impermanence of life. (Like when he says: “You gotta be there. The music is for effect. It’s time and aggression and …t’s shared– live. And then it goes away. The energy- it can’t last.”) But this seems like more of a reinforcing of the stakes than creating a distinct and personal “why” for the character. Every story is unique, with unique needs. For this movie, with this genre and tone, it appears writer/director Jeremy Saulnier decided he didn’t need to spend more screen time building up the “why” of the characters to hit the target he was aiming for. Instead relying on the primalness of the situation to reel us in. I think it works. How are the stakes shown to us? Since we don’t need a lot of evidence to convince us that the main character wants to stay alive (because that’s instinctual), instead more time is spent creating the ominous situation and establishing the threat. Before heading to the gig, the band is warned about the crowd – the presence of neo-Nazis and the fact that drugs are regularly sold at the venue. When they arrive at the venue, it’s an unexpectedly isolated location. They note – before anything even goes wrong – that the venue is run efficiently. The crowd may be chaotic, but management isn’t messing around. They run a “tight ship.” Foreshadowing how they’ll handle covering up the murder. During the band’s first song, they antagonize the crowd with a cover of “Nazi Punks”. Skinheads in the audience boo and throws beer bottles. When the crowd forms a wild mosh pit, we see the propensity for violence here. Werm isn’t fazed by the dead girl situation; he can apparently kill without any emotional reaction. Amber (the dead girl’s friend) looks terrified and pleads for Pat’s help when he stumbles across them. Pat’s prevented from speaking with 911, for calling for help. What’s at stake in Almost Famous? By the end of act 1 in Almost Famous, we see that William wants to be a part of this cool rock world for as long as he can. And now he has a chance – he’s been invited to join a legit, up-and-coming band on the road. Stakes in this one are much more subtle, aren’t they? What happens if William doesn’t go on the road with the band, and soak up that experience? He will have missed out. More than that, he may never be cool. This is established as a desire when his sister leaves home and the script tells us: “All coolness is leaving William’s life.” A moment later her parting words to him are, “One day you’ll be cool,” and, “Look under your bed. It’ll set you free.” He’ll discover she’s left him her “amazing, subversive” collection of albums. All that’s waiting for William if he doesn’t seize this opportunity is a life of uncool and a boring real career. So now is the time; it’ll be the only chance William gets. For William, this is an opportunity to belong, to finally feel a part of a family of kindred spirits. He is utterly out of place around the kids at school (“They hate me,” he tells Lester), but rock music is his refuge. He’s a good writer, too, so rock journalism is a pursuit that validates his worth and his existence. We might not be able to relate to wanting to be rock journalists, but this personal “why” gives the story universality. Who doesn’t remember that awkward age, and feeling totally out of place? Wanting to fit in somewhere. Wanting to be good at something. Good enough that other people would think you were cool. Young William learns his true age (his mom lied to him about it). He’s different from the kids he goes to school with, moreso than he even initially realized. He’s an outsider, he doesn’t fit in, can’t fit in because he’s definitively different. His mother is strident in her “uncool” beliefs, and imposes them on her kids as long as they are under her roof. We also see that William may not necessarily share those beliefs. He doesn’t have a feeling of fully belonging with his mom, his only family. We see William is a loner at school; he doesn’t fit in with the other kids. Lester “never mentions age, treats him as an equal.” Lester tells William his writing is good, but rock is “over.” Has he already missed out? The band, Stillwater, treats William like a friend, gives him access, and brings him into their huddle. They show respect for his position as journalist. After the show, Russell invites William to join them in L.A. Essentially presenting a limited-time opportunity; it’s now or never. Through these trails of information, we understand why William must embark on the 2nd Act adventure. And likewise, why Pat and the guys must go on their journey, too (to survive). We feel the impact of what’s at stake in both situations. In Almost Famous, much more time is spent showing us what this opportunity means to William. The WHY is much more important in this case. And that makes sense. Because he doesn’t have to do this. Not for his basic survival, right? So we need to see his point of view. And believe that he believes he does have to; this is something he wants and needs on a soul level, and it’s now or never. 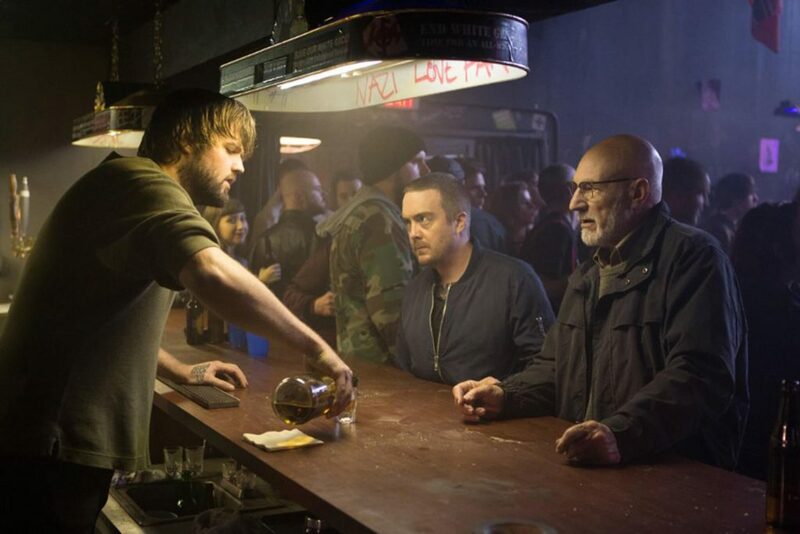 With Green Room, what’s at stake is more primal, so it’s more instantly grasped. Less explanation and building up of the character’s personal “why” is necessary. Instead, more time can be spent really establishing the danger of the situation – WHAT is at stake – which serves to grip us and engage us in the story in this case. 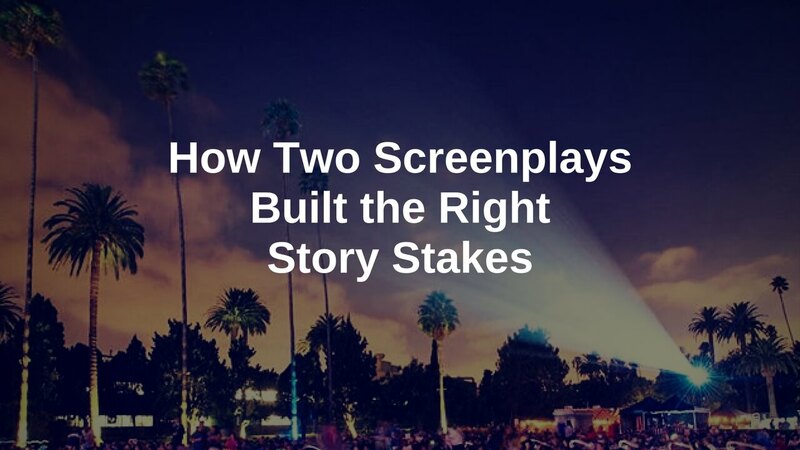 The right balance of the WHAT and WHY of the stakes is different for every story. But you can start to gauge where on the spectrum your story might land by asking how primal the stakes are. What if the stakes in your story don’t immediately threaten the character’s survival or safety, or that of another character the protagonist is bonded to? Then it’s worth considering how to show us why the stakes matter so much to the character, and to find the universal in that.